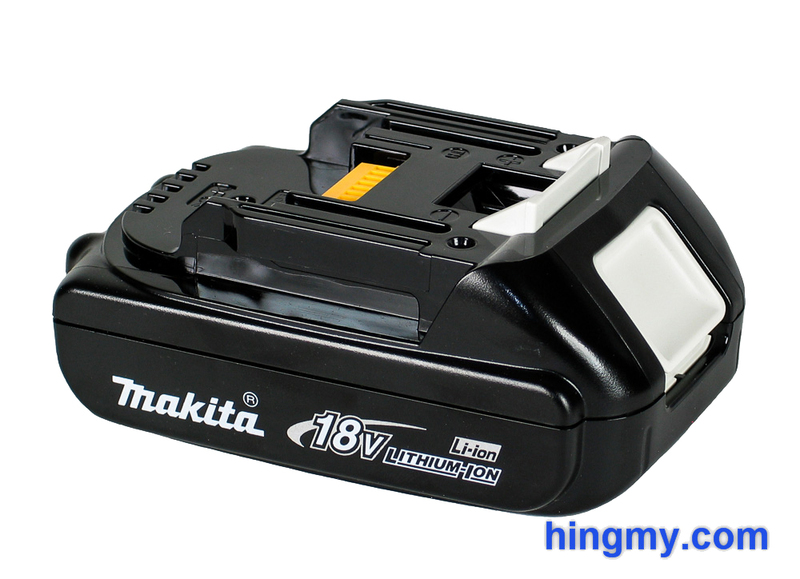 Over the years Makita has built an impressive tool lineup for its excellent 18V battery system. This system offers more choices than any other battery system available today. The LXDT04CW impact driver fills the spot of the compact, yet powerful everyday driver in the lineup. Let's take a look at how it did in our shop. 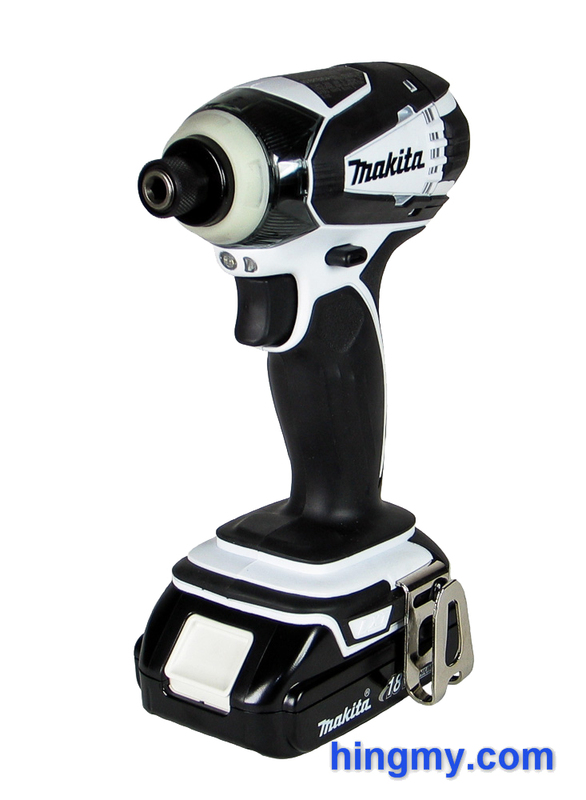 Unlike most Makita tools the LXDT04CW is styled in white instead of the traditional turquoise. 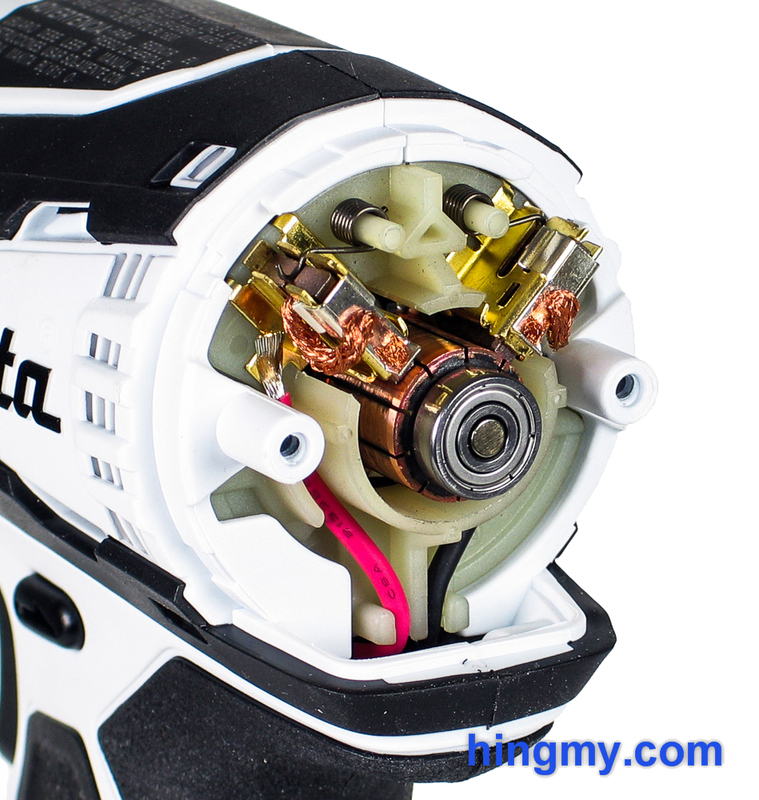 The LXDT04CW is part of Makita's "compact" line of tools, which are all designed in white. The attribute of "compact" refers mainly to the smaller 18V battery battery, which is half the size of a full LXT battery. The tool itself is no smaller or less powerful than the regular, turquoise LXDT04. 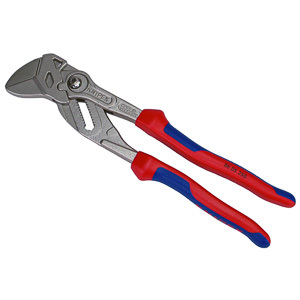 In fact, the two tools have identical specs. The LXDT04CW was designed primarily for driving fasteners. 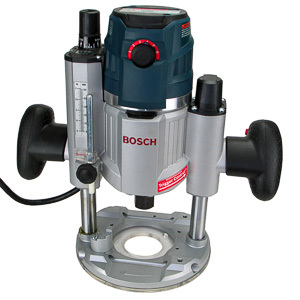 It is equipped with a metal 1/4" quick connect hex chuck. The relatively short body houses a surprisingly powerful motor. 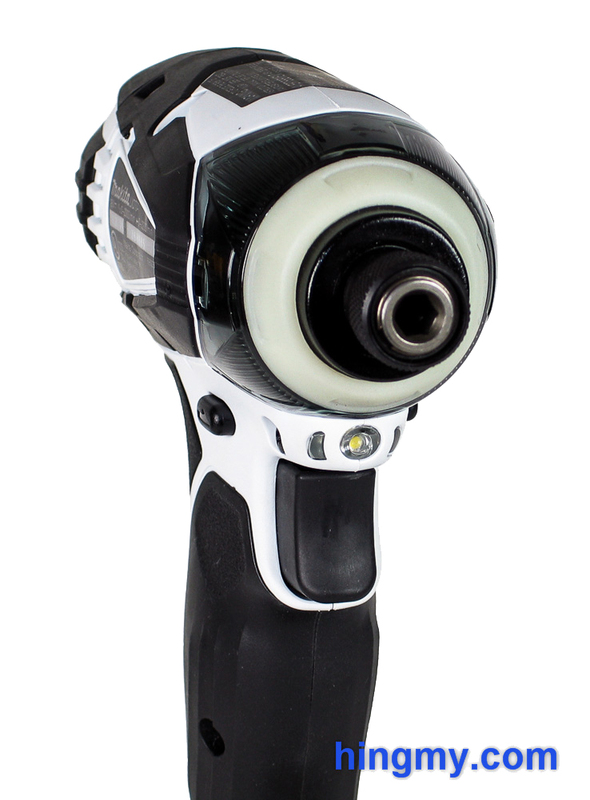 The tool's torque numbers are high enough to put it into the mid field of the market, which is where most well-designed impact drivers reside. With the battery installed the driver's balance point is just below the trigger. This makes the tool very comfortable to use. The body and battery combine to form a single unit that is free of rattles or bending parts. The whole driver has been engineered and built to survive on a job site. The bottom of the battery is strong enough for nudging parts into place, which is an essential attribute of any driver. Makita equipped the LXDT04CW with an LED work light just above the trigger. When the trigger is pressed the work light comes on and stays on until 15 seconds after the trigger is released. This eliminates the need to keep constant pressure on the trigger to activate the light. The work light itself is powerful enough to make the driver useful as an emergency flashlight. Illumination at the work area is excellent. The forward/reverse switch is the common through-the-body design design. It's located just behind the trigger. The switch is far enough back to not get into the way, but close enough to be within reach of the trigger finger. The center location of the switch locks the trigger. The belt-hook near the battery is well designed. It keeps the driver from shifting too much on your toolbelt. The weight of the battery remains above the hook creating a nice balance for the motor below the hook. If you do not use tool belts, the belt hook can be removed. Left-handers can move the hook to the other side of the tool to maintain proper tool orientation while holstering. An area where Makita innovates is in making brush changes faster and easier. Instead of the traditional two-piece clamshell design, the engineers at Makita added a third body piece that covers the rear of the tool. This piece acts as the motor cover. It can be removed by loosening two screws. This exposes the rear of the electric motor and the brush assembly. While one does not have to change brushes on a driver every day, this feature is non-the-less a very useful addition. The driver's structural integrity does not seem to suffer because of the addition of the extra body panel. As expected the good torque numbers of its motor make the LXDT04 a good performer in the shop. The driver had no trouble driving 3" screws through plywood into farming lumber. The hammer action only engaged to sink the head of the screw below the surface. The driver certainly has enough power to call it "construction grade". It'll perform like an impact driver should perform. On the high end the LXDT04CW slowed down significantly when driving lag bolts with a socket installed in the chuck. While the motor on the driver is perfectly suited for driving fasteners, it does not reach into the territory of impact wrenches. The body of the driver gets noticeably hot during heavy use, but does not slow down. After spending an entry battery pack on driving 3" screws into 2x4s the LXDT04CW did not need a cool-down break. It picked up where it left off after a quick battery change. Battery life during the test was limited due to the compact battery. As expected the battery lasted about half as long as tools with full size batteries. The LXDT04CW strong point is its size, not it's staying power. The driver was a joy to use. With its small, compact body driving screws was a pleasure. All this maneuverability comes at the price of more frequent battery changes. The battery of the LXDT04CW is a compact 18V Lithium-ion battery pack. It has half the capacity of regular LXT battery packs, but shares the same battery interface and the same charger. Full size LXT batteries can be purchased and installed on the LXDT04CW. This will, however, throw of the excellent balance the tool enjoys when a compact 18V battery is installed. 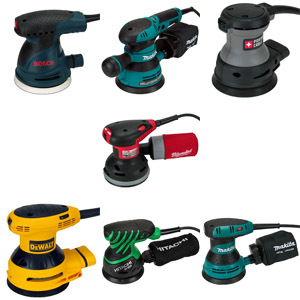 Makita's 18V lineup of tools is very diverse and complete. 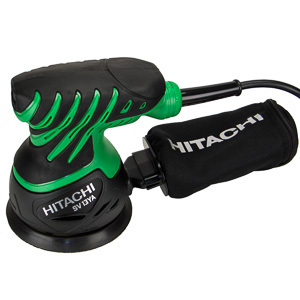 The batteries used by LXDT04 can be used on an array of excellent cordless power tools. This diversity is a strong argument for the LCDT04CW and the Makita 18V LXT system. 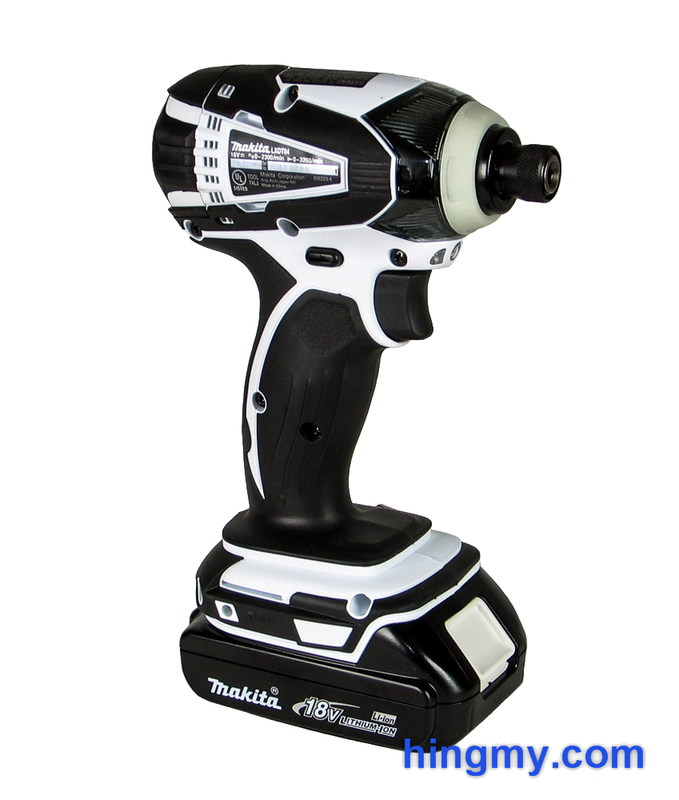 The LXDT04CW is positioned near the top of Makita's impact driver range. 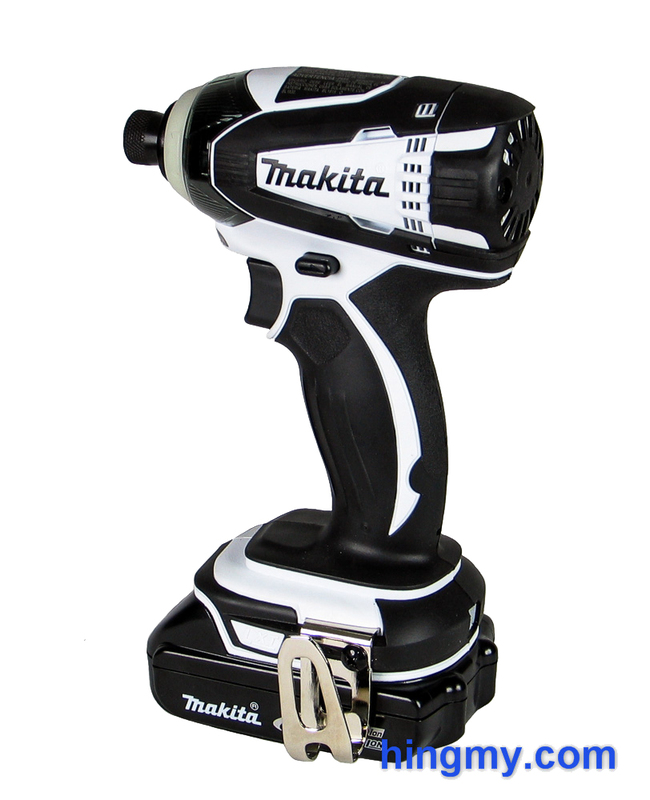 It's the compact version of Makita's previous-generation top impact driver. The regular version of the LXDT04CW is the LXDT04, which comes in turquoise. Both models share the same specs, but the LXDT04 comes with a full size battery pack instead of a regular pack. The LCDT01 is the top tool in Makita's current lineup. It adds a brushless motor for more torque, longer life, and higher performance in general. The LXDT04CW provides almost the same level of performance at a lower price. 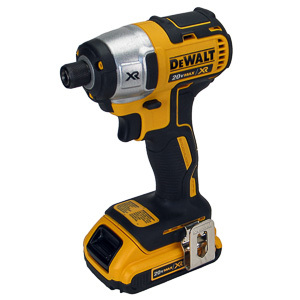 The LXDT04CW impact driver is a powerful, compact tool that excels at driving a limited number of fasteners at a time. 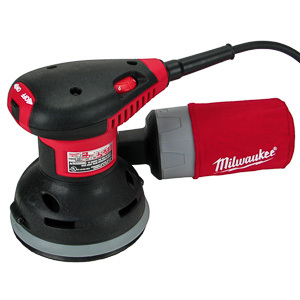 It's compact size makes the tool maneuverable and usable in tight spaces. The driving process is fast and controlled. The small battery limits the LXDT04CW staying power on large projects. 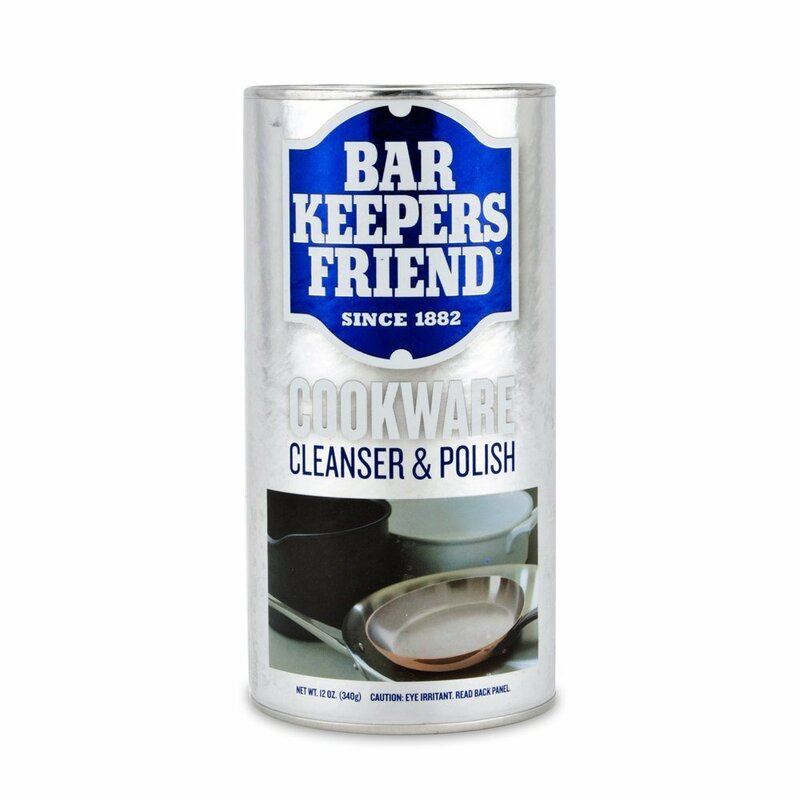 The battery drains too fast and slows down work. The regular LXDT04 with it's full size battery is a better choice for these tasks. 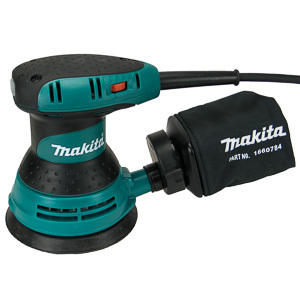 Overall Makita has designed a great tool for occasional users. The smaller battery pack drives down costs for users who do not have to drive a lot of fasteners at a time. Contractors and homeowners alike will welcome the professional quality Makita built into the LXDT04CW. This driver makes the right compromises to be a great tool for many of us.